Designed for musicians who have completed a second year of study in any method, this important new book features scales, thirds, and arpeggios; technique, articulation, and melodious etudes; plus excerpts from the classical repertoire and full-band chorales in 16 major and minor keys. 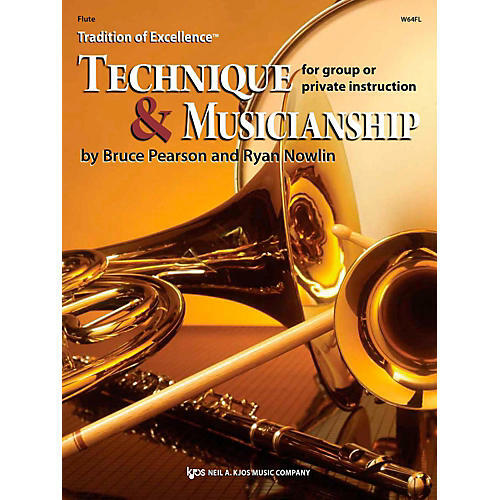 With emphasis placed on specific musicianship skills, plus options for differentiated learning and instruction, it goes above and beyond technique books of the past. Whether used in private lessons or in a group, Tradition of Excellence: Technique and Musicianship is sure to improve technical ability and enhance artistic sensitivity for all band students.